If I asked you what it means to be blessed, what would you say? How do you define “blessed”? Is it being financially stable? Lots of friends and loved ones? Another way of defining the word blessed, is happy. What is true happiness? If you wrote out a definition for happiness what would it be? What would your life have to look like in order to be happy? 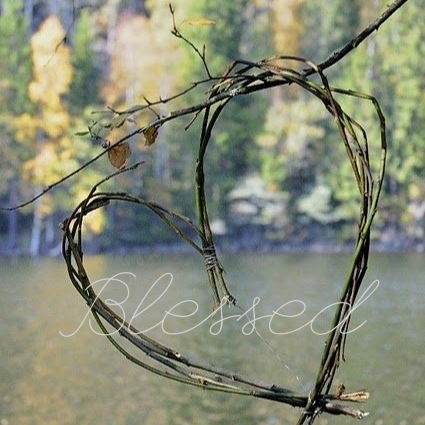 Does your list of “blessing and happiness” look anything like what Jesus listed? I don’t know about you but when I made my list, none of these words were on there. I have always considered blessing and happiness to mean free from trials and suffering. Jesus tells us true happiness comes when we are emptied of our selves, when we’ve come to the end of rope, and we look to God. True happiness comes when we mourn our sin, become humble and see ourselves lowly when compared to God, when we are so desperately hungry and thirsty for Christ and His kind of life, that’s when we find true happiness. These beatitudes are not new commands or things we force ourselves to do in order to be blessed. Because of the posture of our hearts and our understanding of our sin, God, and his unending grace, we are blessed. The beginning of blessing is not health, wealth, and prosperity. It’s poverty, grief, hunger, and thirst. It’s seeing the Cross clearly and living in light of that. As a result of living in the light of the Gospel, we get more blessing and more happiness than we can even understand. Living in right relationship with God leads us into green pastures, life and life abundant with the Most High God. It leads us to find our happiness in God over earthly treasures, and delight in Him is our treasure ever more. That’s true happiness, true blessing. Just joining us? Follow the rest of the Sermon on the Mount series HERE and sign up to get these articles in your inbox!